"With only a few days remaining before the official release of the 2010 Estate Grown Syrah and the 2010 Estate Grown Cabernet Franc, several wine club members spent an afternoon at Monticello Vineyards sampling their newest wine club shipments before their arrival in the tasting room this Friday. 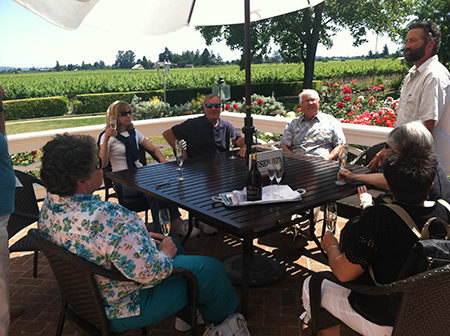 Guests started the afternoon with a taste of the NV Montreaux Brut on the lovely Terrace of the Jefferson House. 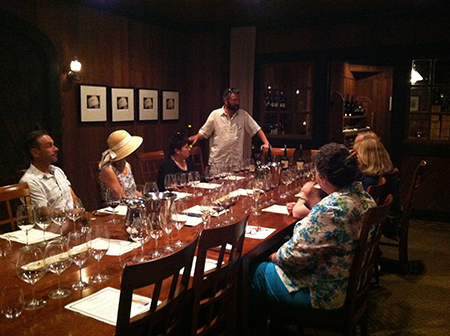 Jay Corley, himself, briefly joined the wine club members with smiles and memorable stories of the family and winery. It was a beautiful day to relax surrounded by friends, a garden of roses and delicious sparkling wine. After savoring a last sip of bubbly, the party passed through a room of barrels and candlelight on their way to the Reserve Tasting Room. Chris Corley guided everyone through a tasting of four Monticello Vineyard wines while sharing his wealth of knowledge and passion for the art of making wine for his family's estate. 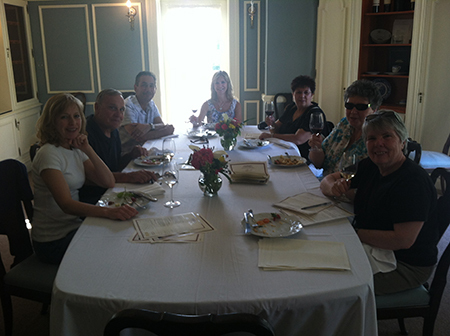 Following the tasting, the group headed to the Jefferson House dining room for appetizers and the opportunity to revisit wines from the tasting. Each guest had a unique story to share about their connection with the Corley family and their estate wines and walked away with an experience beyond expectation. Both the 2010 Estate Grown Syrah and 2010 Estate Grown Cabernet Franc already show great potential with intense aromas and layers of flavor that you don't want to miss! For more information, check out the tasting notes for each. See you in the tasting room at the official release of these fantastic new vintages on Friday, May 31, 2013 just before Auction Napa Valley!"